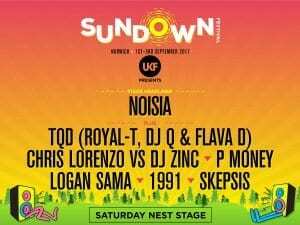 We’re repping all things bass at Sundown Festival with the likes of Noisia, TQD, Chris Lorenzo, DJ Zinc, P Money, Logan Sama, 1991 and Skepsis providing the soundtrack. Not one to miss, get amongst it! Final tickets available here.